Snapchat lost 2 million daily active users compared with the previous quarter, but beat analyst expectations on revenue and earnings, approaching $300 million in revenue for the quarter. This marks the second quarter in a row during which Snapchat has experienced a decline in users, and it’s a trend the company expects to continue. In the Snapchat earnings release, the company said that it saw 186 million daily active users during the third quarter of 2018. Making the decline even more notable, Snapchat earnings last quarter reported a decline from 191 million in Q1 2018 to 188 million last quarter. This means that over the last two quarters, Snapchat has lost some 5 million daily active users . While last quarter Snap attributed the decline in user growth to its controversial redesign, CEO Evan Spiegel this time made mention of Android users as the reason: “The Android community represents a global growth opportunity for us and we are making good progress testing the application in select markets. We look forward to rolling it out when it’s ready,” Spiegel said. Snapchat did beat revenue expectations, reporting $298 million in revenue, compared to Wall Street expectations of $283. However, Snapchat’s average revenue per user in developing countries was down 12.5 percent during the quarter. Snap said it expects daily users to decline again sequentially in the fourth quarter. The company continues to struggle with heightened competition from Instagram, which has copied many of its most popular features, such as disappearing photos and videos. It’s also still navigating backlash to its rocky app redesign. The new interface intended to attract more users amid slow audience growth and criticism the app was too confusing to use. Instead, it was panned by its core younger users. Sophie Light-Wilkinson, VP Marketing, EMEA, Bazaarvoice, commented: “Highlighted by these figures is the battle Snap has on its hands in the face of increasing competition, particularly from Instagram. 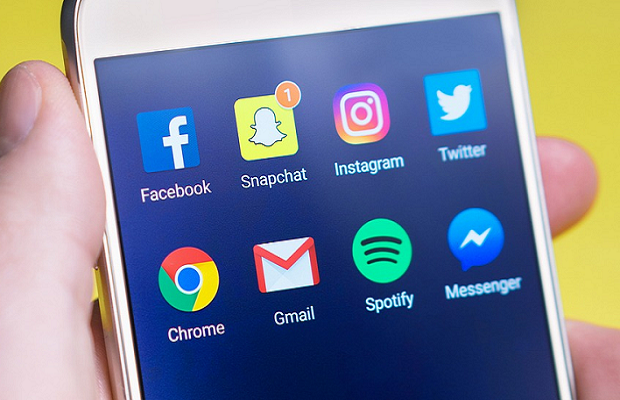 According to consumer reports, Instagram has already overtaken Snapchat as the most used social media app among US teens following reports earlier this year that for the first time the number of people using its service on a daily basis had dropped. The lingering feeling for advertisers is this Snap audience does not offer the same ad potential as other social platforms. Interestingly the solution rests with advertisers as much as it does with Snap. The platform still maintains a stronghold of younger consumers and continues to launch innovative ecommerce features that give users a reason to stick around. Shoppable features such as collection ads, product catalogues as well as the visual search feature gives modern-thinking brands the opportunity to create shopper experiences that build full relationships with their customers.